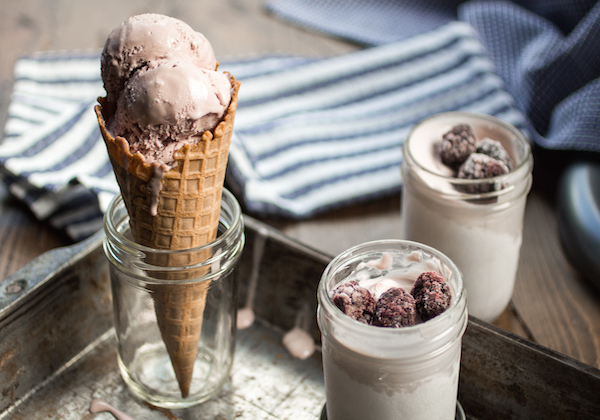 Whoever said you can’t eat ice cream until summer must have been crazy. I’m a firm believer that ice cream is one of those treats that demands to be eaten year-round. I’m talking run out to your favorite shop when there are major downpours or even when the snow starts sticking. Been there, done that. There’s something so magical about that juxtaposition between creamy and cold. 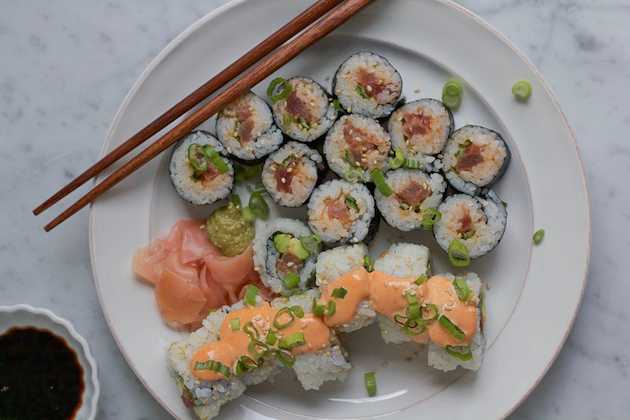 It’s both rich and flavorful, and boy does it taste good. It’s the perfect complement to your other favorites like pie or cake, and it can be used as a base to make a mean milkshake or even encased in meringue! The possibilities are endless, but my hands down personal favorite way to enjoy ice cream has got to be as a sundae! Ice cream sundaes are an ice cream lover’s dream come true because they allow that ice cream you know and love to shine, but with some added flair. Chocolate and caramel sauce are fantastic, as are cherries and sprinkles. However, every now and then, you wanna change it up. When I mixed up this batch of olive oil ice cream, I knew it needed more than just your traditional toppings. I wanted something as exotic as the smooth, full-bodied, and slightly savory ice cream I made. 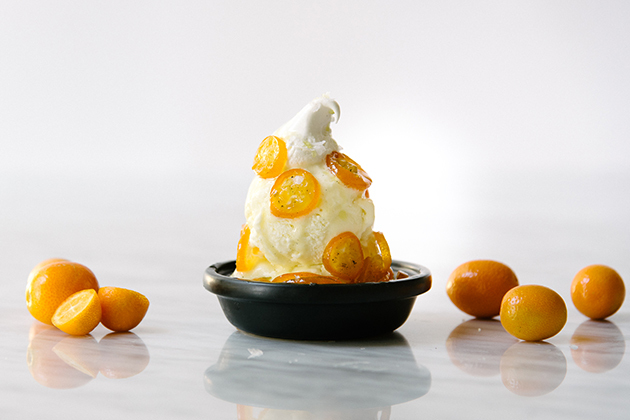 Tart and tangy kumquats don’t sound like a natural fit for ice cream, that is until you candy them. Candied kumquats add that bright, citrus flavor you crave without outshining the main event. Olive oil ice cream and candied kumquats are not quite enough to build a proper sundae. But add a dollop of vanilla bean whipped cream, a drizzle of olive oil, a bit of candied kumquat syrup, and a sprinkling of salt flakes, and you’ve created the perfect treat. I think it’s time we get to making that sundae. Start by making the ice cream base. 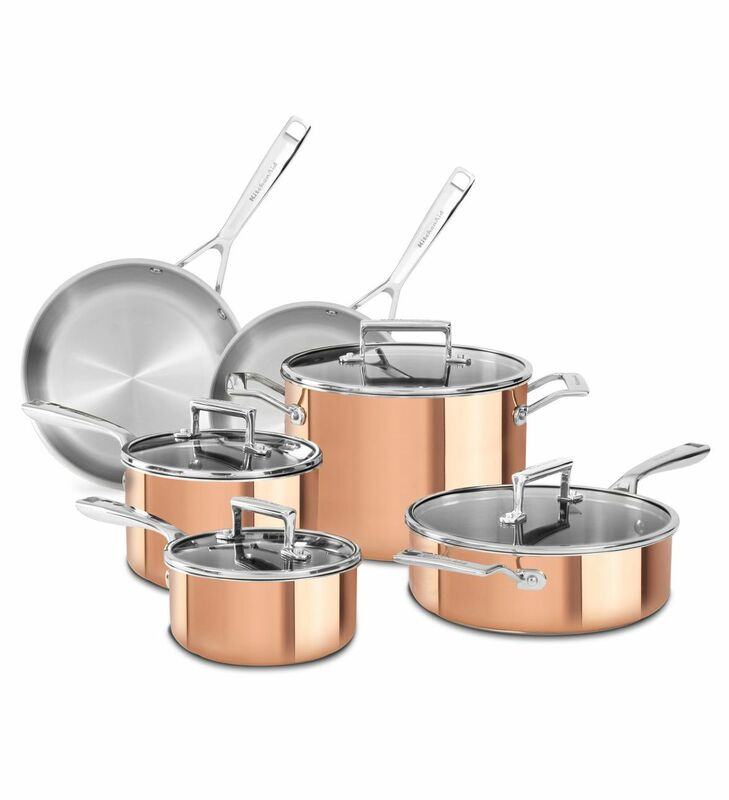 Add whole milk, heavy cream, kosher salt, and 1/2 a cup of granulated sugar to your 3.0-Quart Saucepan from the KitchenAid® Tri-Ply Copper 10-Piece Set, and heat on medium-high heat, stirring to dissolve sugar. Heat until it just comes to a simmer and immediately remove the pan from the heat. Vigorously whisk together egg yolks and the remaining 2 tablespoons of granulated sugar for 1-2 minutes until pale. In a slow steady stream, pour in 1/2 a cup of the hot milk mixture into the yolks, whisking constantly to avoid scrambling. Once combined, slowly stream into the remaining milk mixture in the saucepan while whisking. Cook over medium heat, stirring consistently with a wooden spoon for 3-4 minutes or until the mixture is thick enough to coat the back of the spoon. 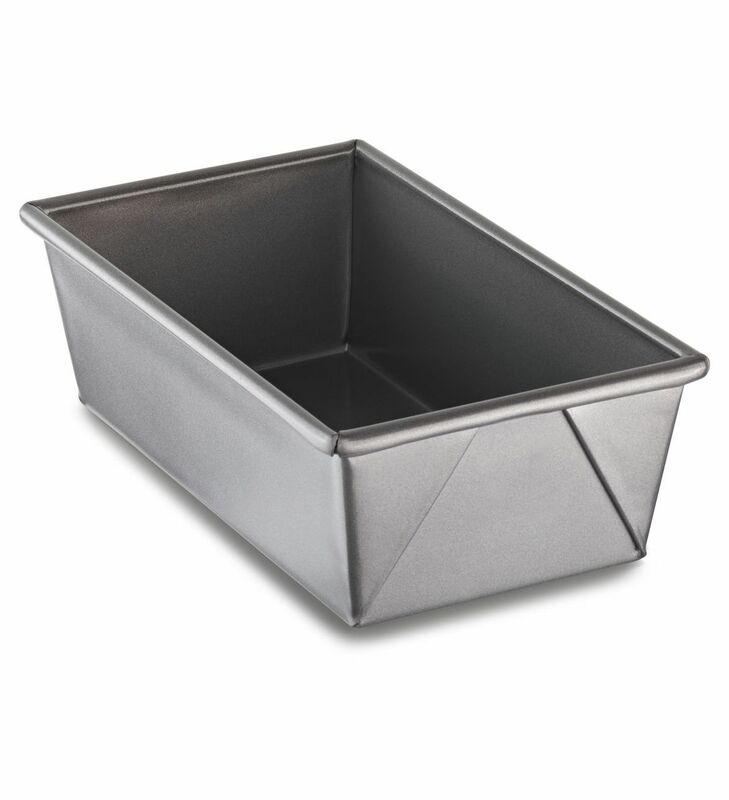 Strain through a fine-mesh sieve into a medium bowl that has been set over a large bowl of ice water. Whisk in the condensed milk, olive oil, and vanilla and let cool for about 30 minutes, stirring occasionally. After 30 minutes, whisk in buttermilk and transfer mixture to a gallon-sized Ziploc bag. Submerge the bag in the ice water to cool completely. Transfer to the refrigerator and chill for at least 4 hours, or preferably overnight. 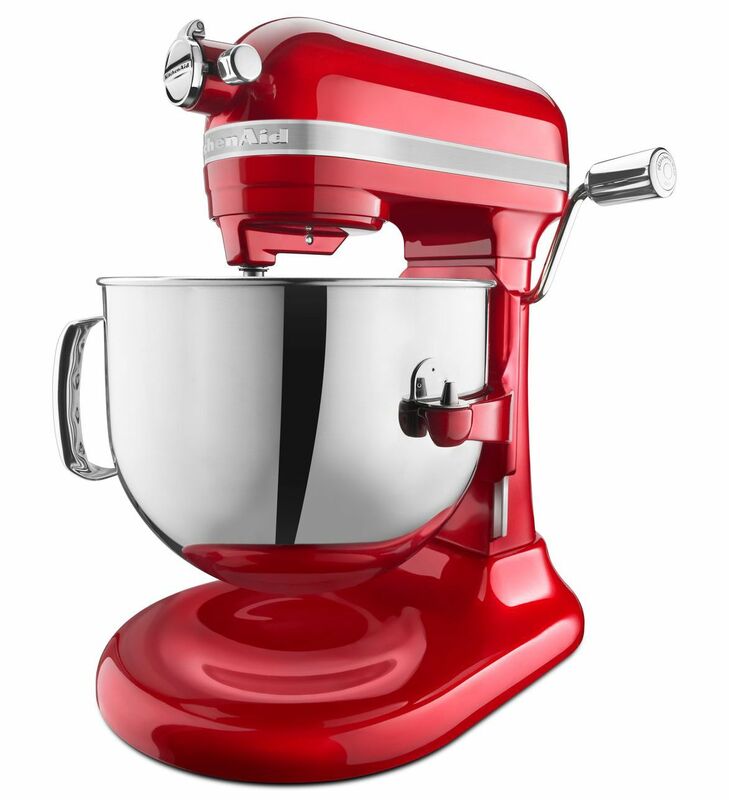 Assemble and engage the KitchenAid® Ice Cream Maker Attachment freezer bowl, dasher, and drive to the KitchenAid® Pro Line® Series 7-Qt Bowl Lift Stand Mixer. 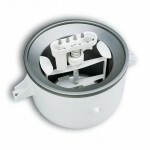 (The Ice Cream Maker Attachment needs to be completely frozen prior to use. Keep in your freezer for at least 14 hours prior to making your ice cream.) Pour the ice cream base into the bowl. Churn on “stir setting” (low) for 15-20 minutes or until desired consistency. Remove the bowl from the Stand Mixer and transfer the ice cream to a KitchenAid® Professional-Grade Nonstick Loaf Pan and cover with a sheet of parchment paper. Transfer to freezer to firm up for at least 4 hours, preferably overnight. Feel free to sneak a taste because if you haven’t had olive oil ice cream yet, you’re in a for a treat! Meanwhile, let’s make the candied kumquat topping. Start by combining sliced kumquats, vanilla bean and its seeds, granulated sugar, and water in your 3.0-Quart Saucepan and bring to a boil over high heat. 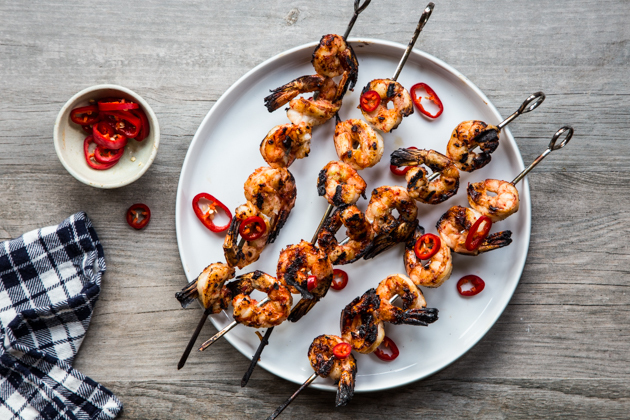 Once boiling, reduce the heat to medium-low and simmer for 15-20 minutes or until the skins are tender and translucent. Remove the pan from the heat and let cool to room temperature. When cool, remove and discard vanilla bean and strain the fruit through a fine-mesh sieve, collecting the syrup in a bowl; then transfer the syrup back to the pan. Reduce the syrup over medium heat for 5-10 minutes or until thickened. Pour half of the syrup over kumquats and store in an airtight container in the refrigerator until ready to use. Store the remaining half in a small airtight container in the refrigerator. Once you’re ready to compile your sundae, it’s time to whip up your cream! Start by combining the heavy cream, the powdered sugar and the seeds of 1/2 a vanilla bean in the blending cup of your KitchenAid® Pro Line® Series 5-Speed Cordless Hand Blender. Fit your Hand Blender with the whisk attachment and whisk the cream until medium peaks form. Now comes the fun part: assembling your sundaes. Start with a couple scoops of olive oil ice cream, then add some candied kumquats. Top with a dollop of vanilla bean whipped cream, more candied kumquats, a drizzle of olive oil, some of the reserved candied kumquat syrup, and a sprinkle of salt flakes. Enjoy! Be sure to share your take on this Olive Oil Ice Cream Sundae recipe with us on Instagram using #MadeWithKitchenAid for a chance to be featured. Combine whole milk, heavy cream, kosher salt, and 1/2 cup of granulated sugar in a 3.0-Quart Saucepan from the KitchenAid® Tri-Ply Copper 10-Piece Set, and heat on medium-high heat, stirring to dissolve sugar. Heat until it just comes to a simmer and immediately remove the pan from the heat. Vigorously whisk together egg yolks and the remaining 2 tablespoons of granulated sugar for 1-2 minutes until pale. In a slow steady stream, pour in 1/2 cup of the hot milk mixture into the yolks, whisking continuously to avoid scrambling. Once combined, slowly stream into the remaining milk mixture in the saucepan while whisking. Cook over medium heat, stirring constantly with a wooden spoon for 3-4 minutes or until the mixture is thick enough to coat the back of the spoon. Assemble and engage the KitchenAid® Ice Cream Maker Attachment freezer bowl, dasher, and drive to the KitchenAid® Pro Line® Series 7-Qt Bowl Lift Stand Mixer. (The Ice Cream Maker Attachment needs to be completely frozen prior to use. Keep in your freezer for at least 14 hours prior to making your ice cream.) Pour the ice cream base into the bowl. Churn on “stir setting” (low) for 15-20 minutes or until desired consistency. Remove the bowl from the Stand Mixer and transfer the ice cream to a KitchenAid® Professional-Grade Nonstick Loaf Pan and cover with a sheet of parchment paper. Transfer to freezer to firm up for at least 4 hours, preferably overnight. Combine sliced kumquats, vanilla bean and its seeds, granulated sugar, and water in your 3.0-Quart Saucepan and bring to a boil over high heat. Once boiling, reduce the heat to medium-low and simmer for 15-20 minutes or until the skins are tender and translucent. Remove the pan from the heat and let cool to room temperature. When cool, remove and discard vanilla bean and strain the fruit through a fine-mesh sieve, collecting the syrup in a bowl; then transfer the syrup back to the pan. Reduce the syrup over medium heat for 5-10 minutes or until thickened. Pour half of the syrup over kumquats and store in an airtight container in the refrigerator until ready to use. Store the remaining half in a small airtight container in the refrigerator. Combine the heavy cream, the sugar, and the vanilla bean seeds in the blending cup of your KitchenAid® Pro Line® Series 5-Speed Cordless Hand Blender. 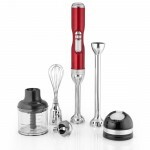 Fit your Hand Blender with the whisk attachment and whisk the cream until medium peaks form.